H.A.C.C Judo players have proved themselves Champions repeatedly 14 times. In Gujarat University inter college tournament they won:- 3 Gold Medals: Prabhakar Kanojiya, Viral Patel and Bariya Kuldip, 4 Silver Medals: Chendal Abhishek, Vaghela Yagnesh, Chodhry Bhavin and Vaghela Jaydeep &1 Bronze Medal: Dhumda Bharat Prabhakar Kanojiya, Viral Patel and Bariya Kuldip participated in all India inter university tournament held in Amritsar (Punjab). Prof. Urmilla Patel of HACC has been conferred a Ph.D. degree in English Literature by Gujarat University for her thesis titled “The Quest for the Self in the Novels of Saul Bellow”. We are proud of her achievement. 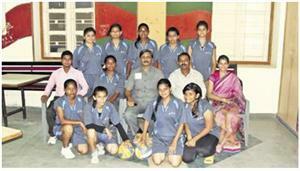 THE GIRLS’ VOLLEYBALL TEAM WON THE CHAMPIONSHIP AT THE GUJARAT UNIVERSITY EVENT FOR THE 24TH TIME IN A ROW. 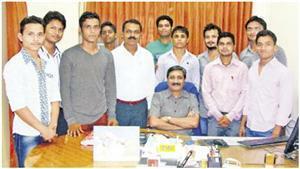 THE BOYS' WRESTLING TEAM WON THE GUJARAT UNIVERSITY CHAMPIONSHIP FOR THE 14TH TIME IN A ROW.